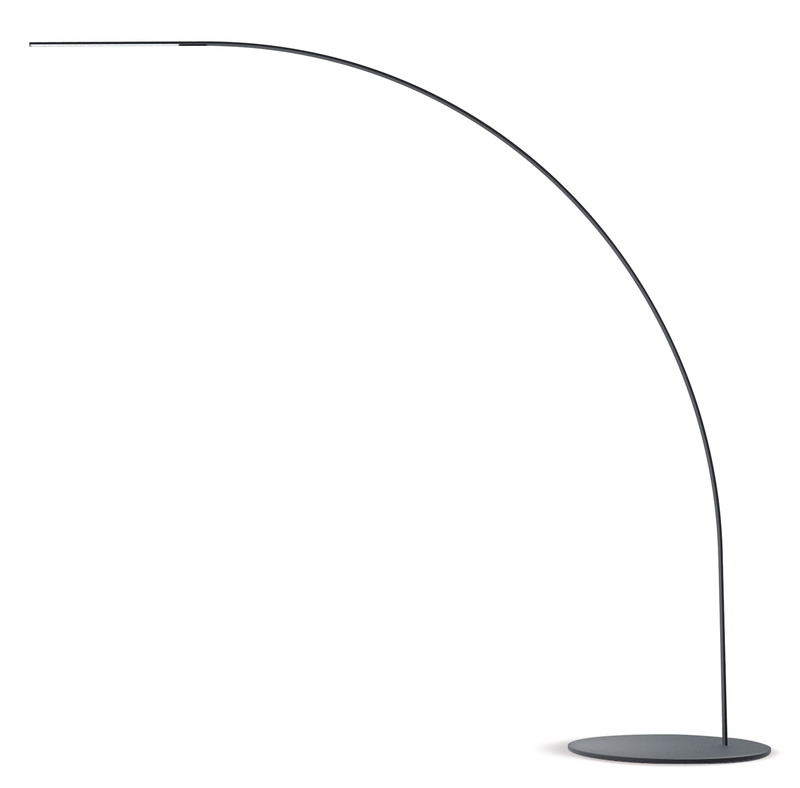 Architect Shigeru Ban has created a clean, minimalist floor lamp for FontanaArte, namedYumi. 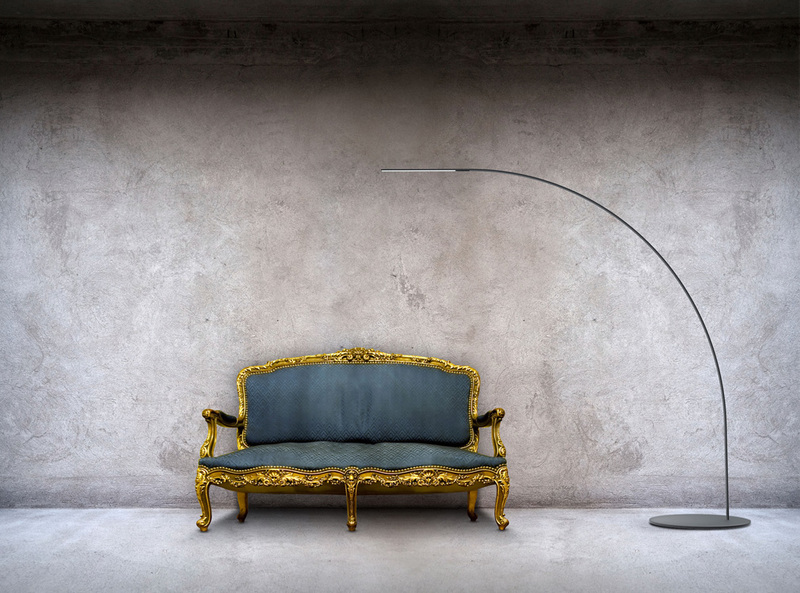 The lamp which has been selected for the XXIII Compasso D’Oro ADI Awards name means “Bow” in Japanese which the lamp gracefully does as it arcs from it’s base into the room. With the main body of the lamp only 10 mm thick, the clean design forms a simple light weight structure that is elegant and unobtrusive. The black structure is made from composite materials coated with carbon fiber for strength, lightness, and durability. Power cables are hidden into the structure to enhance the minimal design and not detract from the lamps shape. Using LED lights that are integrated into the arcing frame the light source becomes invisible unless you are directly below the source. 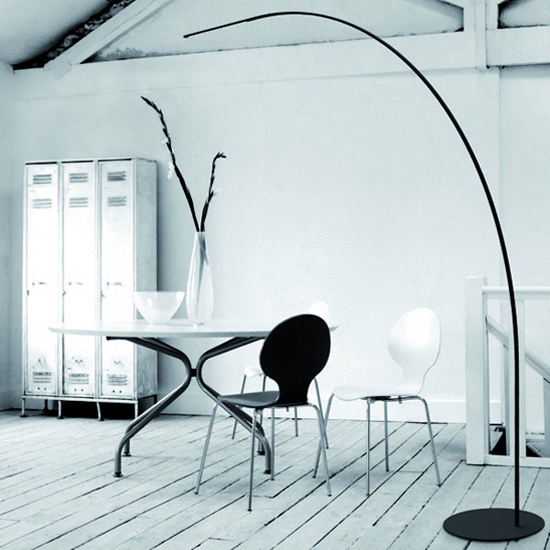 Clean, simple design with all ornamentation removed to produce a graceful, sculptural, minimalist form. Love it. Posted in Design and Art, Lighting and tagged Architecture, Design, FontanaArte, Industrial Design, Lighting, Minimalist Design, Shigeru Ban, XXIII Compasso D’Oro ADI Awards, Yumi on June 23, 2014 by Author. ← Art of the Car. Ghosts Amongst Machines.